The Kids Run The OC Training Program was designed to help pre-adolescent kids become more physically fit, promote an active and healthy lifestyle and combat the onset of childhood obesity. . . while having fun! This is accomplished through various games, which help improve speed, agility, hand/eye coordination, flexibility and your child’s overall fitness. 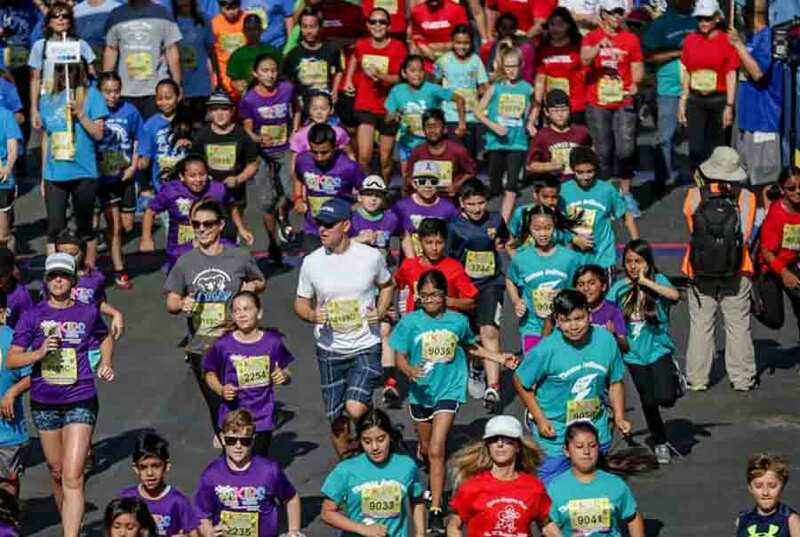 Students from each participating school will be led through our popular and fun training program at their school by The OC Marathon certified coach. This event requires a parent waiver. Ticket price includes a t-shirt for your child to run in. Extra t-shirt ticket option for spectators (pay-out-of-pocket only). Parking is not included or covered with funds. $8.00 CASH ONLY.